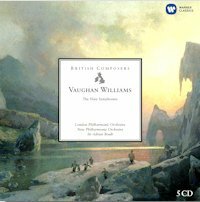 For anyone looking to explore the symphonies of Ralph Vaughan Williams (1872-1958) this famous set recorded by Sir Adrian Boult for HMV/EMI between 1967 and 1971, and reissued by Warner Classics at an attractive price, is still a clear first choice. While clearly not neglected on disc Vaughan Williams’s symphonies are hardly ever heard in the concert-halls. There are first-rate complete sets by Bernard Haitink, Vernon Handley, and André Previn among others, yet one doesn’t get any closer to his particular and ever-changing sound-world than with Sir Adrian Boult, who knew the composer since his Oxford student-days, premiered three of his symphonies and remained a close friend and lifelong champion of his music. Categories: CD reviews | Tags: A Sea Symphony, EMI, EMI Classics, English composers, HMV, Marc Haegeman, Margaret Price, Ralph Vaughan Williams, Sheila Armstrong, Sinfonia antarctica, Sir Adrian Boult, Symphonies, Warner Classics | Permalink. 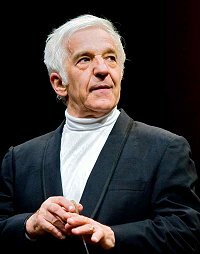 To start the year, Parisian music lovers were treated to a small but highly delectable Tchaikovsky homage when the Philharmonia Orchestra under their Conductor Laureate Vladimir Ashkenazy appeared for two consecutive nights at the Théâtre des Champs Elysées. 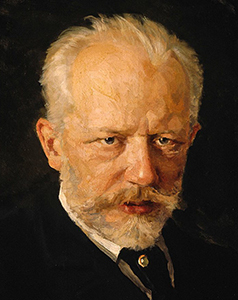 Following the traditional setup of overture, concerto and symphony, both programs consisted of a trio of Tchaikovsky masterpieces, spanning with Romeo and Juliet (1869, rev. 1880) and The Voyevoda (1890) the majority of his creative activity. The presence of two sterling Russian artists, Evgeny Kissin and Vadim Repin, luminous soloists in respectively the First Piano Concerto and the Violin Concerto, added considerably to the attraction of this mini Tchaikovsky fest. Categories: Concert reviews | Tags: Evgeny Kissin, Marc Haegeman, Paris, Philharmonia Orchestra, Piotr Ilyitch Tchaikovsky, Romeo and Juliet, Russian music, Symphonies, Théâtre des Champs Elysées Paris 7-8 January 2014, Théâtre des Champs-Elysées, Vadim Repin, Vladmir Ashkenazy, Voyevoda | Permalink. Coinciding with their CD-release of the Brahms Symphonies, Riccardo Chailly and the Leipzig Gewandhaus Orchestra toured London, Paris and Vienna with the complete Symphony and Concerto cycle. Marketing-wise it doesn’t get any better than that. Music-wise it was a true Brahms feast. I was able to attend the whole series at the Paris Salle Pleyel – and would like to thank Philippe Provensal and his press team for their generous assistance. Spread over four concerts, with each of the symphonies paired to a concerto, maestro Chailly and his Leipzig ensemble offered a unique opportunity to (re)visit one of the most significant symphonic legacies of the 19th century. Riccardo Chailly has been Gewandhauskapellmeister since the start of the 2005/6 season. With its 270 years of history the Gewandhaus Orchestra is not only the oldest in the world, it boasts a long tradition of championing Brahms’s music. The composer himself conducted and performed no less than 16 times in Leipzig, where during his lifetime a true personal cult had developed. In the 1913/14 season of the Gewandhaus a first Brahms cycle was brought under the baton of Arthur Nikisch, whom the composer had known as orchestra leader. Now, a hundred years later, Chailly continues this tradition in grand form. Categories: Concert reviews | Tags: Arcadi Volodos, Arthur Nikisch, Enrico Dindo, Gewandhaus, Gewandhausorchester Leipzig, Johannes Brahms, Julian Rachlin, Leonidas Kavakos, Marc Haegeman, Paris Salle Pleyel, Pierre-Laurent Aimard, Riccardo Chailly, Symphonies | Permalink.